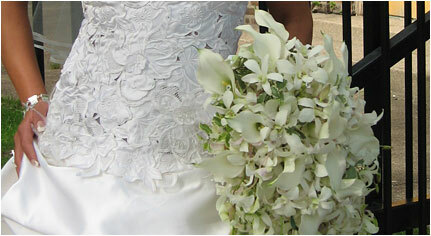 At Wedding Flowers in Chicago, we love using our experience to create beautiful wedding flowers for your special day. 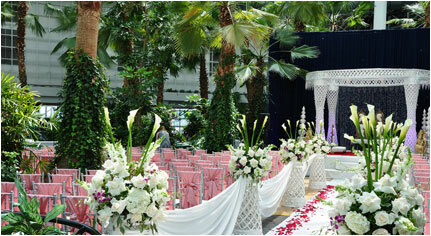 Since 2001 M&P Chicago Wedding Florist has been design some of Chicago’s most prestigious Wedding Events. Weddings are such an integral part of our society. They are amazing life changing events. Perhaps that is why we have combined our joy for these happy occasions, and our love of flowers, to make one very rewarding profession. 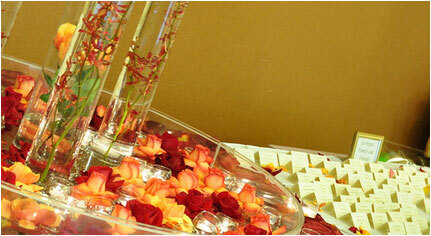 We find great joy and satisfaction in coming up with the perfect wedding flowers for you. Whether you are a minimalist bride, who just wants the minimum like a brides bouquet and a boutonniere for the groom, or a fairy princess bride, who can’t get enough flowers, or anywhere in between, we can work with that. Your wedding flowers will add color and beauty to the occasion, whether they are in the wedding ceremony, as part of the wedding decorations, or the head table decorations. 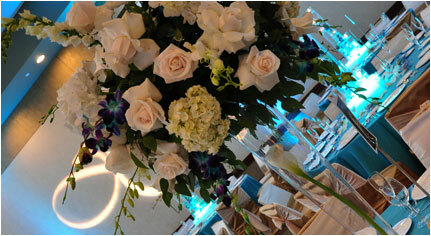 Tall Table Centerpieces will add beauty and dramatic appeal to your wedding. With the right wedding florist and their creativity you will have something that others will remember, and will add just the right touch to your reception. Discuss your greatest wishes with our Wedding Flower Designers and give them a chance to totally amaze you with some of the most creative Low Table Cebterpieces ideas that you may not have thought of. 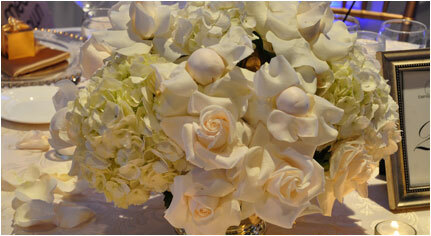 The wedding flowers at the place card table are some of the first wedding decorations that your guests will notice. 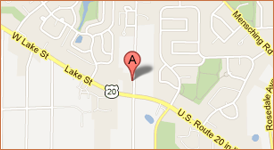 You will want to make sure that you plan some special flowers for this area. Whether you need just the basic services of a wedding florist to handle your brides bouquet, grooms boutonniere, and flowers for those involved in the line; or a larger package to include flowers for the wedding ceremony, decorations for the venue, as well as a head table and centerpieces, we can handle your floral needs. We will work with the happy couple to determine the kinds of flowers, type of arrangements, number of necessary Chicago wedding decorations, and how we can work within your budget to provide you with all that you desire. 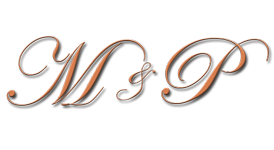 Wedding Flowers in Chicago is a family run business that has been serving clients in and around the Chicago area for the past 10 years. 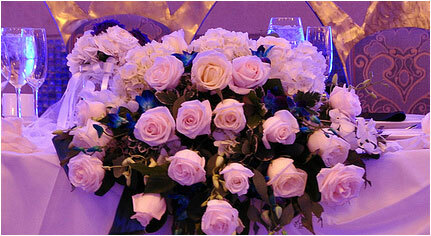 We offer high quality, creative wedding flowers and are quickly gaining the reputation of hiring wedding flowers expert. Copyright © 2001-2014 Chicago Wedding Flowers. All Rights Reserved.